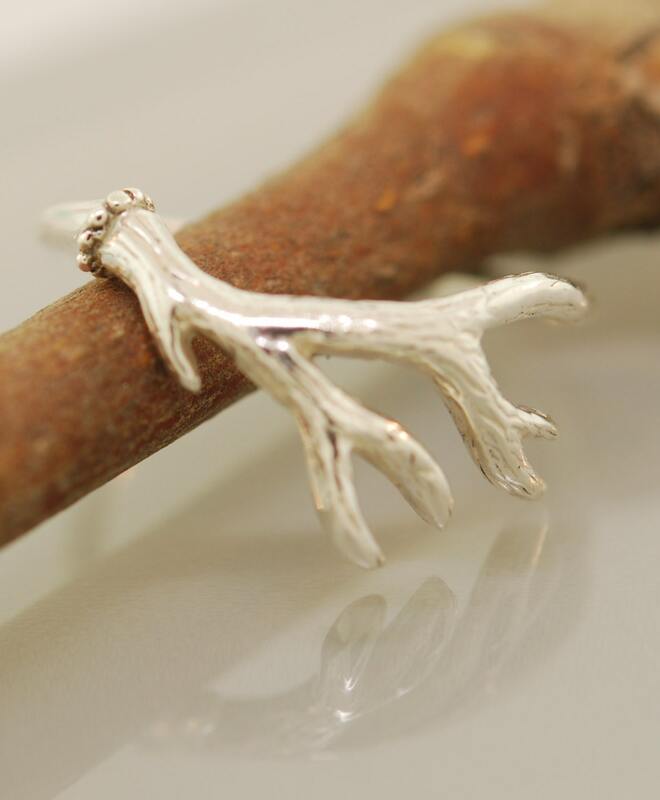 Antlers are great on deers but also look pretty spectacular in silver. 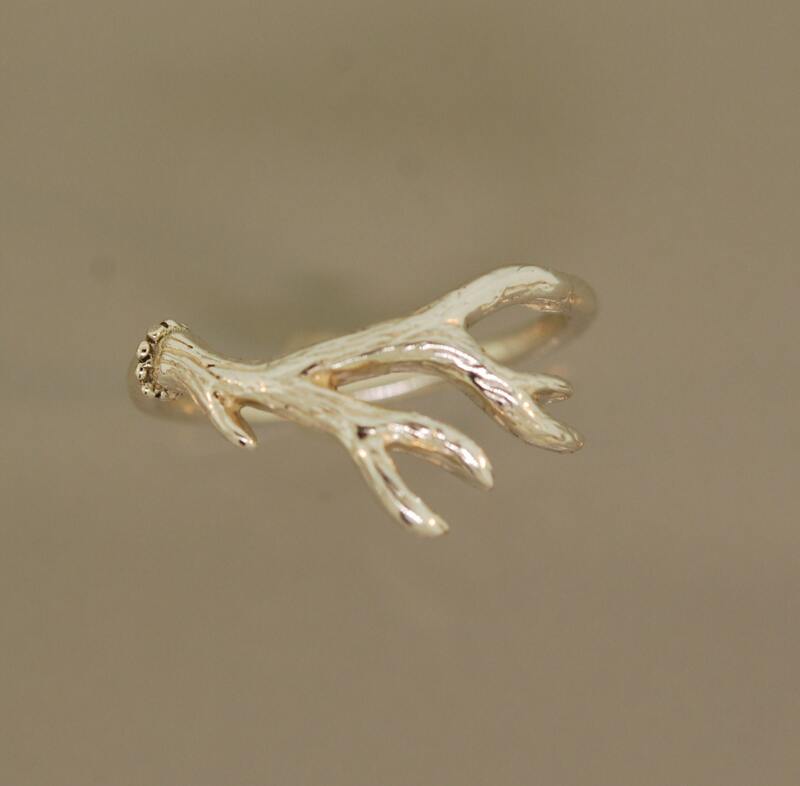 This is a great ring for those wanting to express their appreciations for nature and her creations. 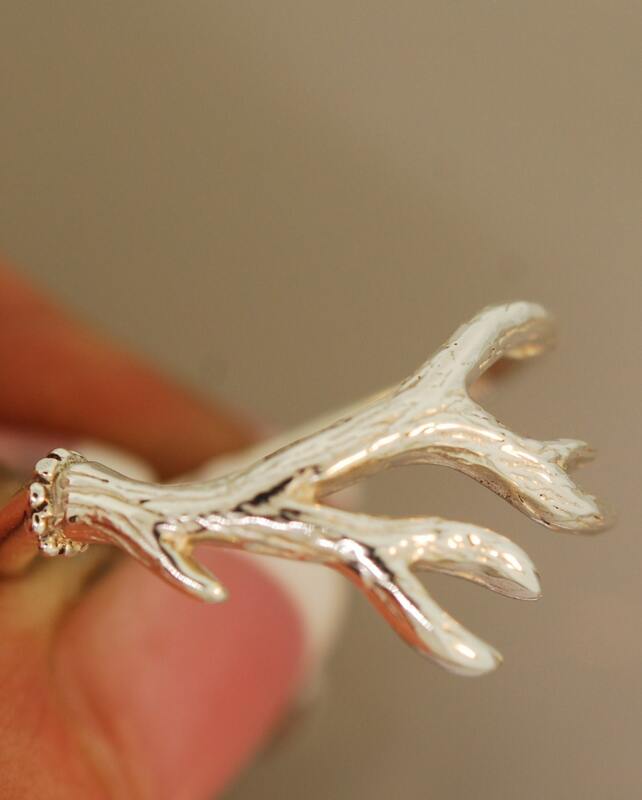 The ring in the photos is sterling silver. 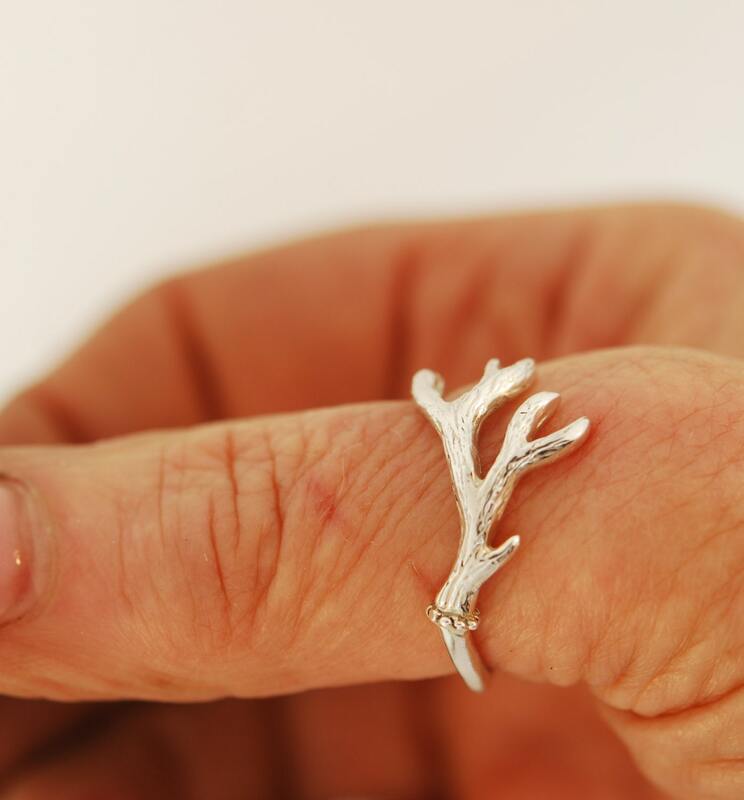 I can also make in rose gold, white gold, and yellow gold. 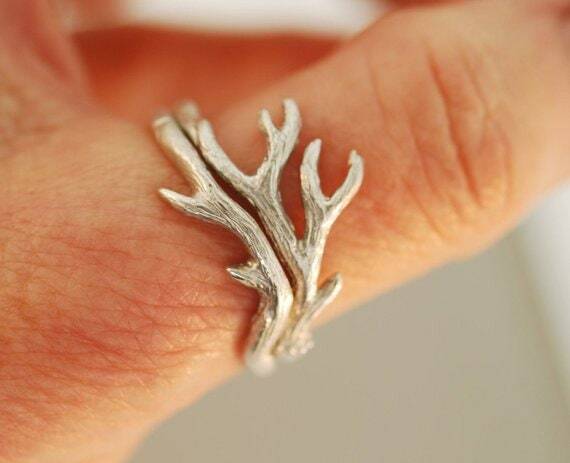 Here is a link for the coordinating band that goes with this ring.